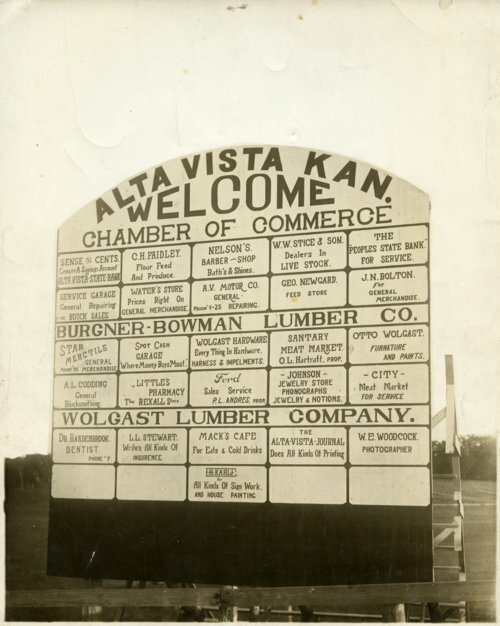 This photograph was taken upon completion of this welcome sign in Alta Vista, Kansas. The sign was painted by H. Kahle. Each of the town's merchants' names are displayed on the sign which measured 14 feet wide and 16 feet tall.